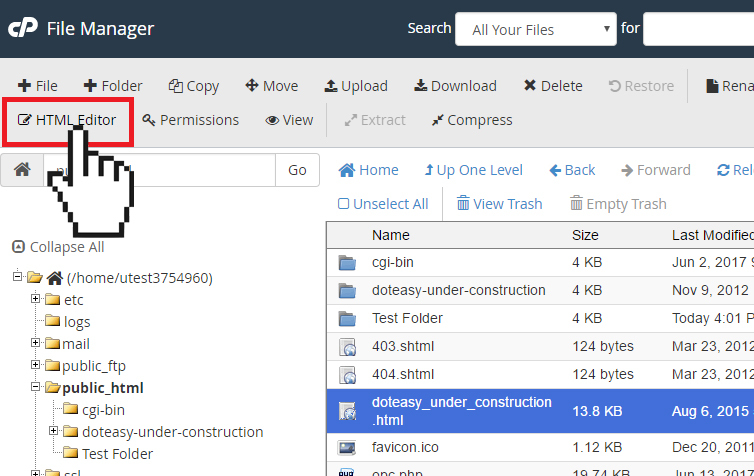 On the File Manager toolbar, you will find a HTML Editor. 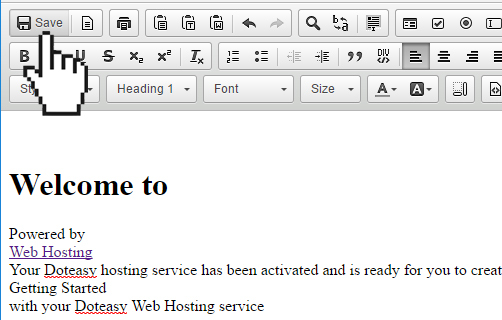 The HTML Editor is a visual (WYSIWYG) interface that lets you easily edit your HTML files. 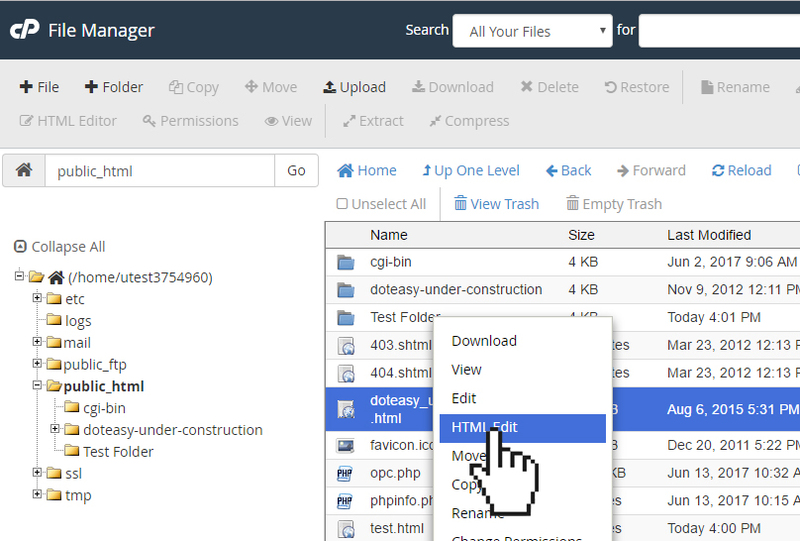 Select the HTML file you want to edit. Click on the HTML Editor icon on the top toolbar. 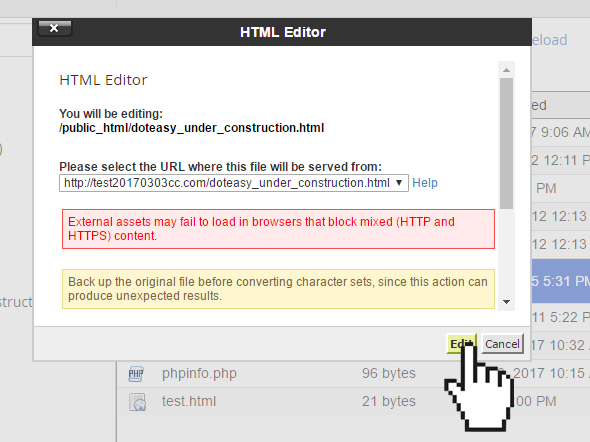 Alternatively, you can right-click on the file and select HTML Edit from the options menu. Click Edit to open the HTML editor. Edit the file as needed. When ready, click Save to save the changes.